Recently, my husband and I enjoyed watching the movie Sully and I still can not stop thinking about the film. I think most of us from the US remember the breaking news about the airplane that was landed in the Hudson River by the pilot Captain Chesley Sullenberger. We were amazed and cheered the pilot and his co-pilot for their heroic actions. The movie shows us what happened that day over the skies of New York city and the days that followed. Captain Sullenberger is played by Tom Hanks and does a marvelous job. In real life, I remember being struck by Sully's humility and his repeated comment that he was not a hero but was just a man who did his job. He seemed to be so uncomfortable in the limelight. What we, the public, did not know was what was going on behind the scenes to the two pilots who saved the lives of 155 people by landing the plane in the waters of the Hudson. The movie shows us what happened with the bird strike and the quick thinking of a veteran pilot. It also shows the process of investigation that is necessary with any plane crash. 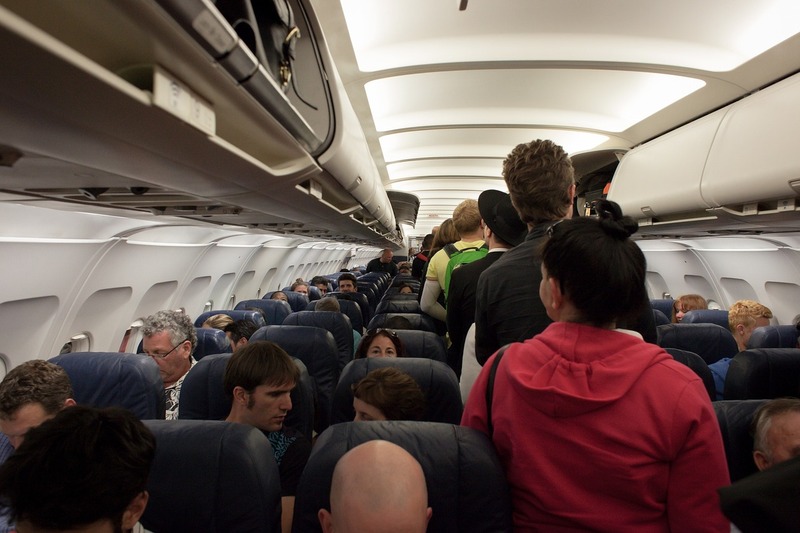 What is different in this real life event is that the pilot and the crew along with all of the passengers are all alive and can testify to what happened. Sadly, there is normally no one who can explain the events that caused the crash. It is much easier to deduce that there was pilot error and the case is closed. 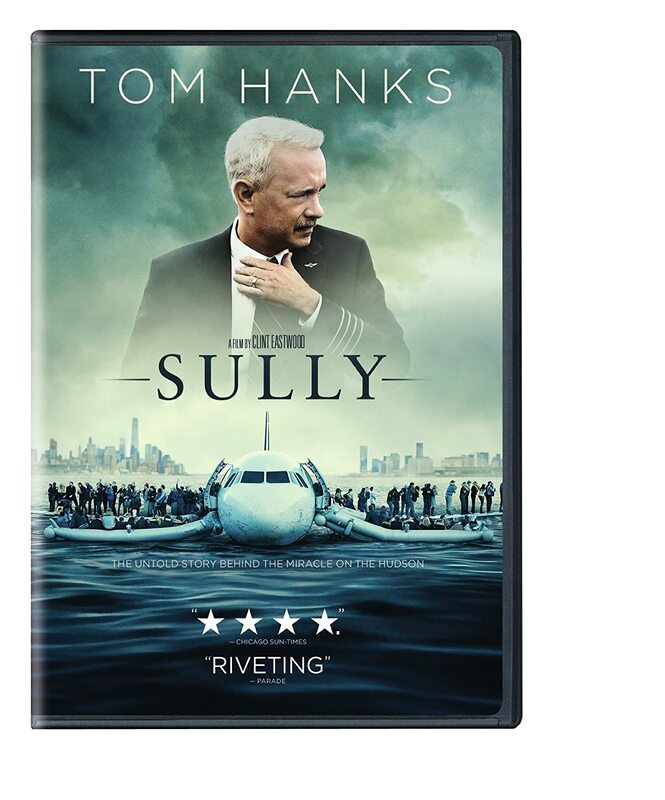 We are shown in the movie, Sully, that the investigators are most assuredly about to railroad a decision that will find fault with Captain Sullenberger's heroic act and most likely end his career as a pilot. After all, there were the options to land the plane in two other places without causing much damage to the plane. But the Captain knows that there was no way he could have saved the passengers or the plane if he had gone to either option that the investigative board thinks he should have. It just boils down to him proving he had no other choice but to land the plane in the river. I won't reveal everything about the movie here in the review. What I will tell you is that it is a movie that both my husband and I thoroughly enjoyed. It made us feel good and it made us appreciate what really happened that day in 2009. The movie made us proud that there are men like Captain Sullenberger who perform their jobs on a daily basis to the very best of their abilities, not for glory but because they take pride in their work and want to do their job well. Included in those who do their jobs well are the first responders who quickly went into action that day and rescued the crew and passengers from the frigid waters of the Hudson. That day in January 2009 is often referred to as the "Miracle On The Hudson" and it does seem to be quite miraculous. Perhaps it was a miracle, the powers that be saw to it the the right people with the right skills and experience reported for work that day. They did their jobs well and instead of a tragedy on the news, people all around the world were able to experience the joy of lives being saved by a pilot who knew exactly what needed to be done and whose main concern was the safety of the passengers on board his airplane. My husband and I still haven't watched "Sully," but we certainly intend to do so. Thanks for the helpful review and reminder! I've not yet seen "Sully" either, but want to watch it. A real-life story about a tragedy averted. Cheers for the pilot and crew. It is a great movie! Tom Hanks always does an exceptional job with the parts he takes. The movie is stressful in some ways, but worth seeing for sure. I saw this not long enough. It wasn't what I expected. I didn't expect the investigative portions. Afterwards, I liked the movie better for those parts. Amazing. Thank you for the review Bev. It is definitely worth seeing! I haven't seen this movie either, but I know it was one that both my husband and I wanted to see. I think I need to show him this review....thanks Bev for the spark to edge me on. We still haven't seen Sully either, I don't think it was at our local cinema for very long (which is strange for a Tom Hanks movie), but as we're coming to the end of our summer I'm sure we'll be watching it as winter and movie nights go hand in hand. My hubby loves movies based on real life stories and we both think Tom Hanks is a fantastic actor.